Learn how to knit and crochet. Contains everything you need to make a scarf and a bag. 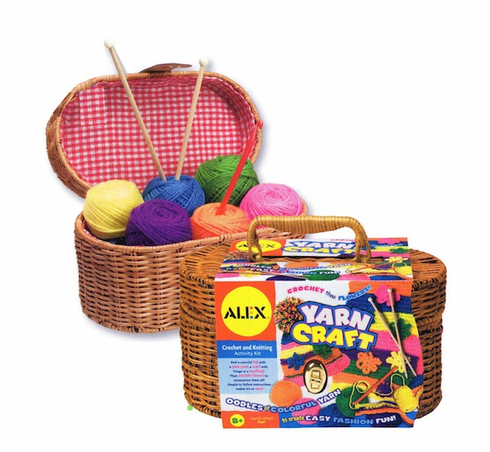 Includes 6 skeins of yarn (50 yds each), wooden knitting needles, plastic crochet hook and easy illustrated instructions.